Rye High School is located in Westchester County, New York, and ranked by U.S. News and World Report as one of the top 75 high schools in the United States. 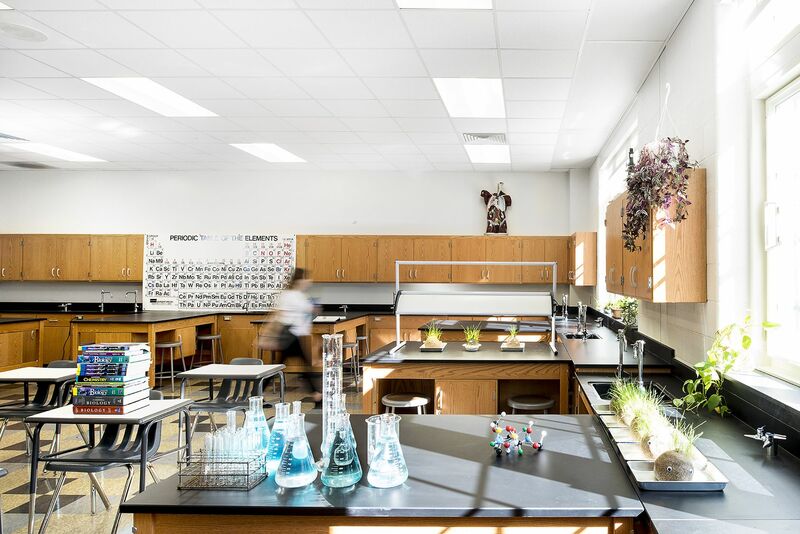 With enrollment on the rise and class size growth a concern, the District looked to KSQ for assistance in passing a $16.35 million bond referendum in order to renovate the existing science building and enable Rye students to continue to excel in science, technology, engineering and mathematics (STEM) disciplines. 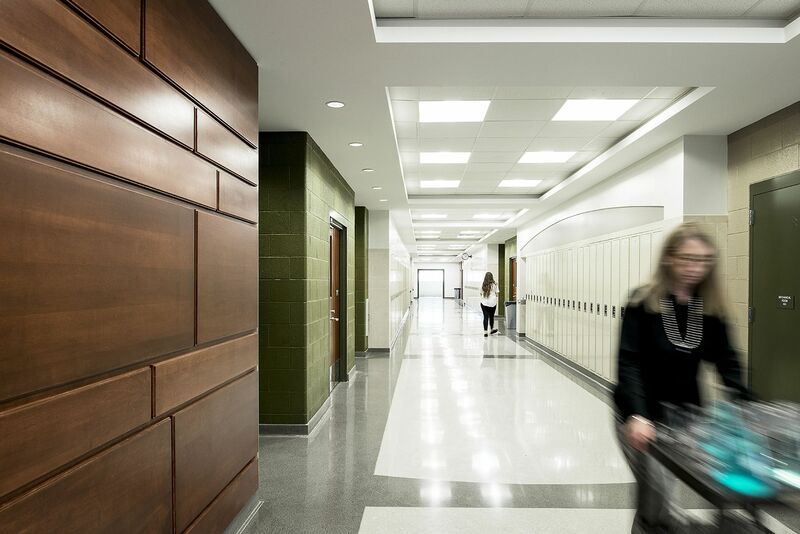 The 50-year-old science building was renovated to accommodate general classrooms. We also created a 17,000 SF, two-story addition respectful to the tone and character of existing buildings on the campus. The new science wing has 12 learning and lab areas for chemistry, biology, earth science and physics. 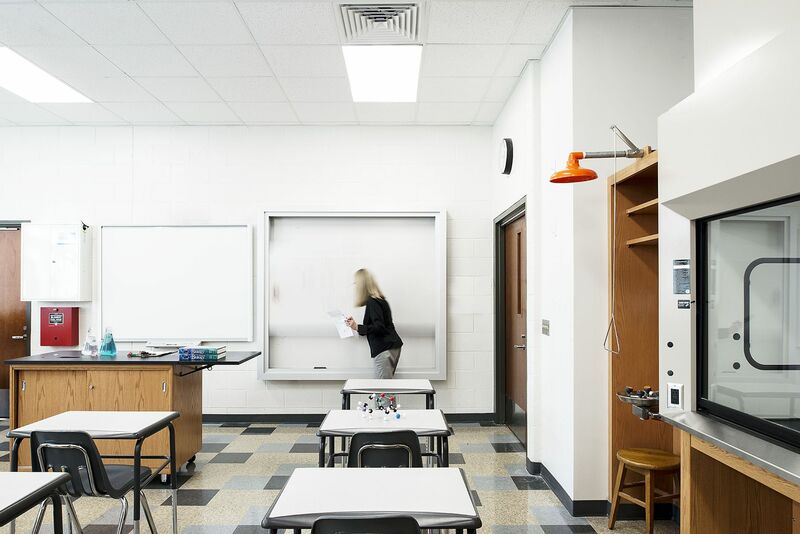 The spaces feature Smart Boards, wireless Internet, and an HVAC system that improves classroom air quality. 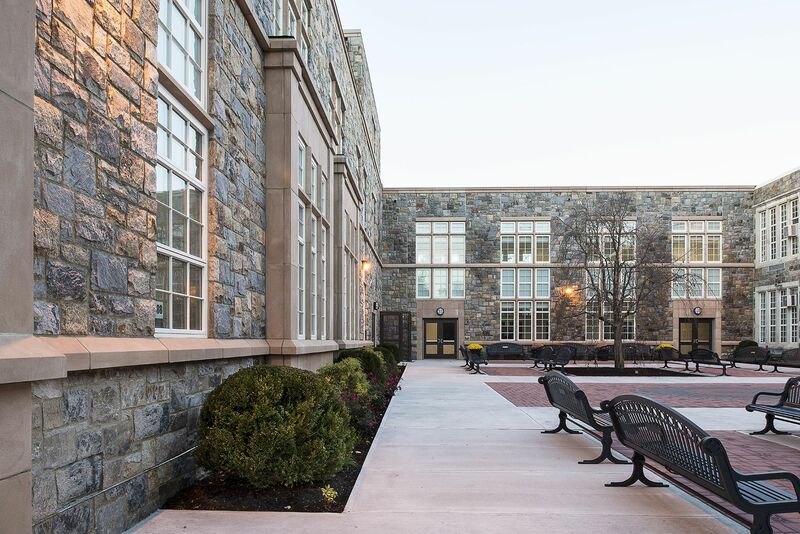 At the opening ceremony, New York Board of Education President Laura Slack told My Rye “Construction of the new science wing has been a tremendous undertaking and we are very pleased that it was delivered on time and under budget.” Parents and students excitedly told us our design is like “Hogwarts”–a comparison we gladly accept.